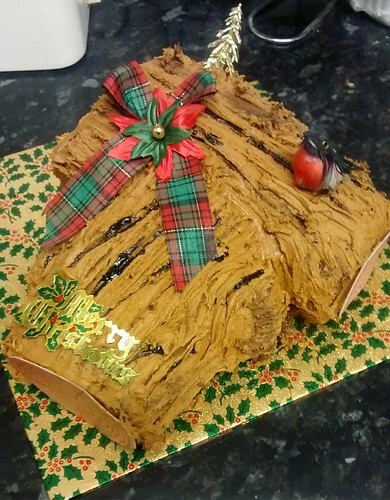 Hexagonal Christmas cake with a carol singer singing under street light. 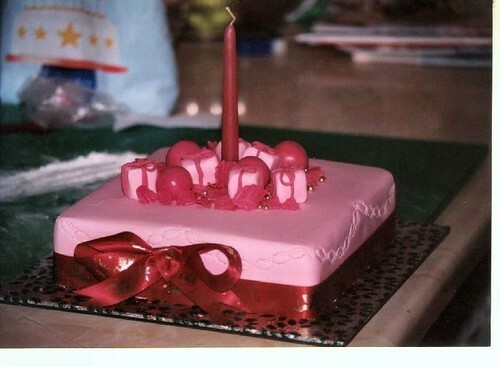 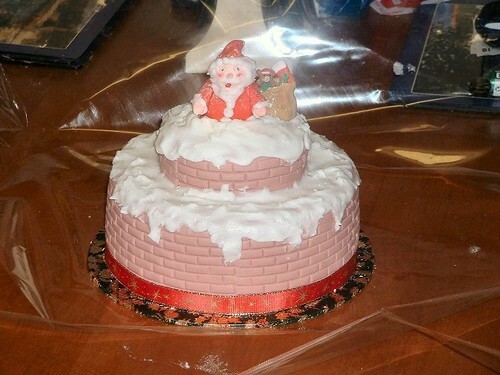 Square Christmas cake with pink icing and ribbons. 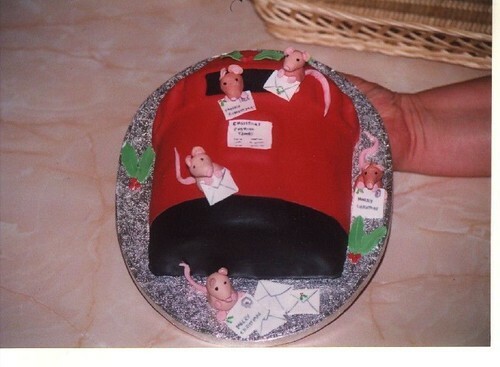 Christmas cake in the shape of a postbox with mice posting cards. 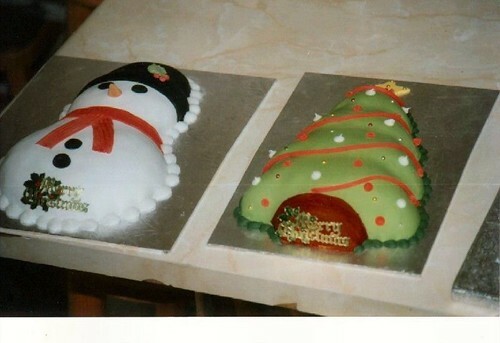 Two christmas cakes in the shape of a snowman and Christmas tree. 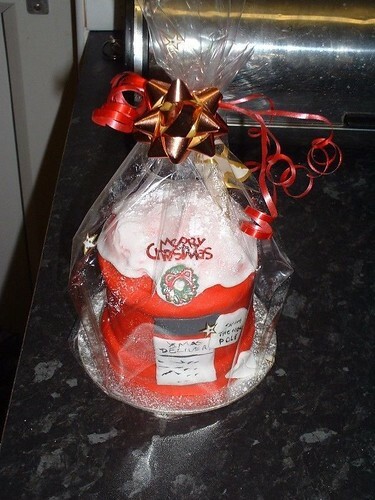 Christmas cake in the shape of a Post Box with snow on. 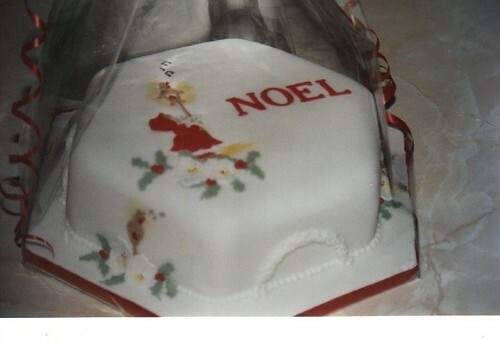 Wrapped in cellophane with decorative bow. 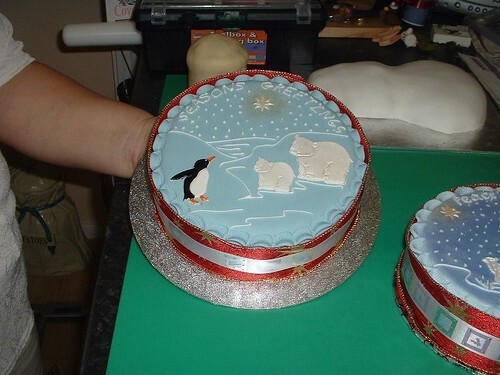 Round Christmas cake with penguins and polar bears on. 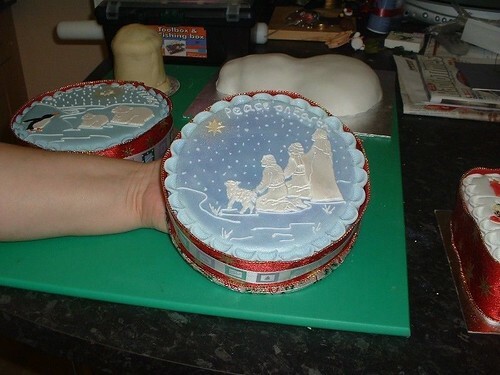 Round Christmas cake with Santa stuck in the chimney. 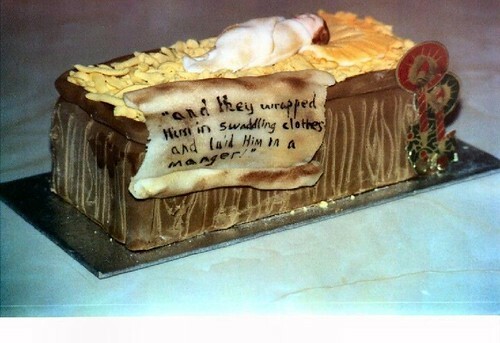 Rectangular Christmas cake of the baby Jesus in the manger. 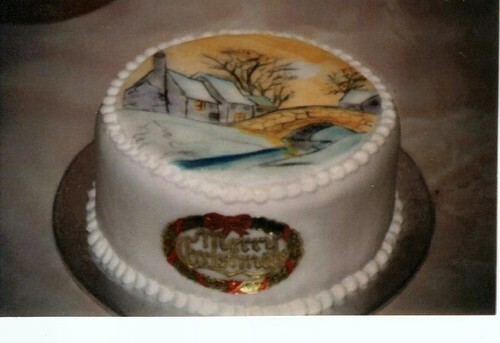 Round Christmas cake with a winter scene painted on. 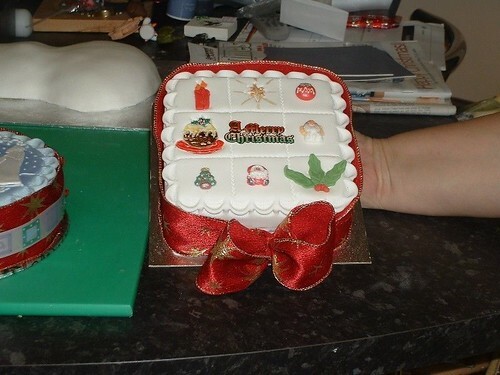 Square Christmas cake with a selection of festive decorations. 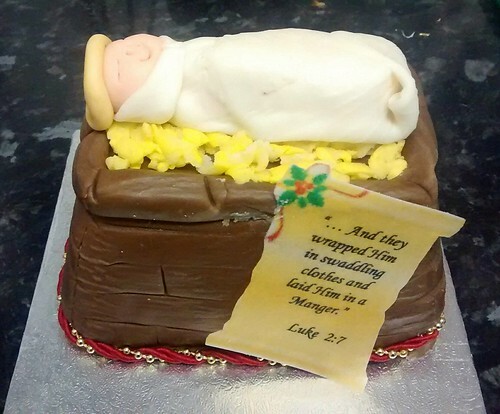 Christmas cake with a scene of the shepherds seeing the star. 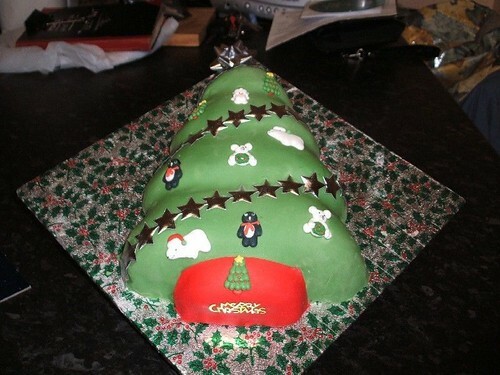 Christmas cake in the shape of a Christmas tree with decorations. 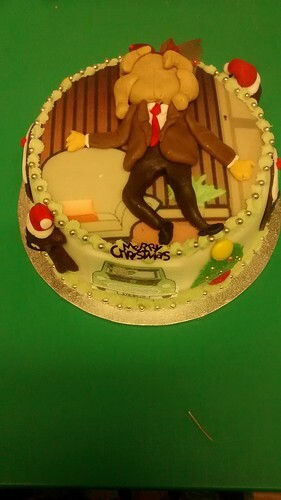 Christmas comes but once a year so make it even more special with a customised cake from Debbie's Cake'ole. 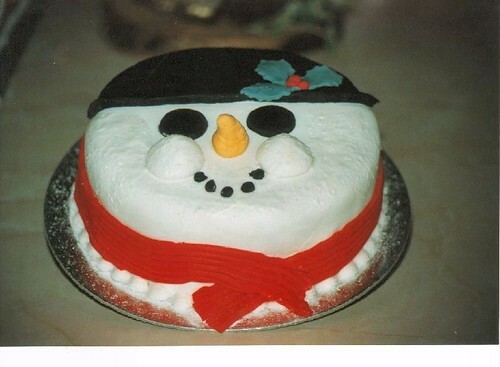 Debbie's Cake'ole can provide any Christmas cake to suit your needs. 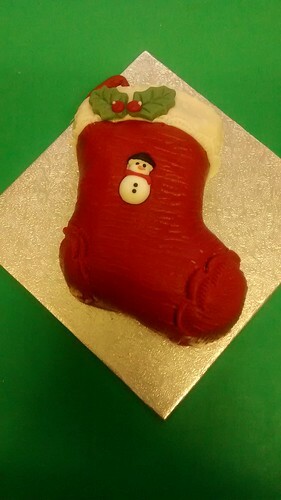 We've made religious cakes, funny cakes, Santa cakes, snowman cakes and many others so let us know what you want. 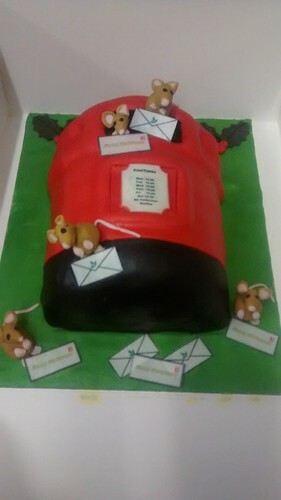 Whether you require a large cake for a party, a single serving cake or anything in between Debbie will make your cake to suit your exact requirements. 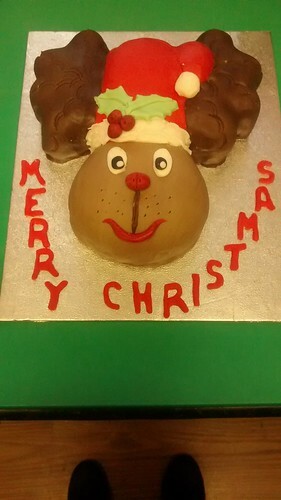 Please remember that we get particularly busy around Christmas time so get your order in early to ensure your peace of mind.